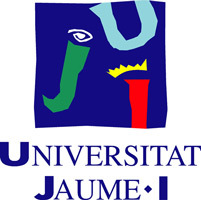 Universitat Jaume I de Castellón (UJI) is a public higher education and research centre created in 1991. UJI consists of four centres which currently offer 31 official qualifications, which are supplemented by 44 masters adapted to the new European degrees programs and features 32 doctoral programs. Last year, the UJI published 566 articles in scientific journals, 40 books with ISBN and 440 conferences published with ISBN. UJI has 25 departments divide into four areas: technology and experimental sciences, humanities and social sciences, legal and economic sciences and health sciences. The Instituto de Tecnología Cerámica (ITC-UJI) of the Universitat Jaume I is a world leading centre for research and technological development aimed at the ceramic industry, and it represents a good model of cooperation among University, Industry and Public Administration. The current ITC-UJI was convinced in 1969 as Institute of chemical technology at the University of Valencia, with the aim of offering technical support to the industries of the Valencian Community, but 25 years ago ITC-UJI moved to Castellón and focused mainly on ceramics. ITC-UJI offers specialised services to the ceramic industry such as, technology transfer, development of R&D projects, technical assistance to solve specific problems of ceramic companies and more than 450 types of standards tests related to ceramic materials or processing. The development of these activities has allowed contributing decisively to the main technological milestones that have occurred in recent years in the Spanish ceramic industry.